This time last year I was contacted by the charity Reverse Rett regarding an author who wanted to share stories of girls who had Rett Syndrome in hope of raising the profile of the condition and draw attention to the work of Reverse Rett UK. 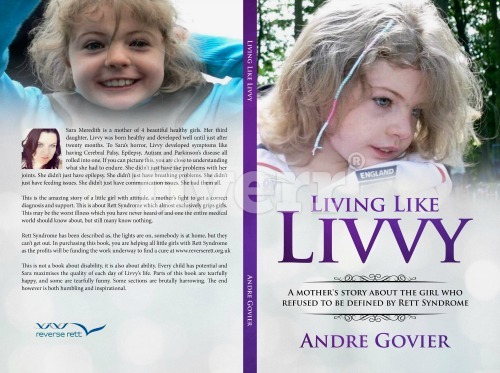 After speaking and meeting with author Andre Govier it was put forward that the book was going to be Livvy’s story from my, her mothers perspective. Over the last year I have walked through the stages of Livvy’s life, from regression, diagnosis, treatment and of course the pain of losing her. It’s not been a easy journey but I have been inspired by the courage that Livvy showed everyday of her life. This book is not just about Rett Syndrome its about a life lived well and a beautiful young lady who loved well. Let's make Livvy's legacy the cure for Rett Syndrome. Help me share my girlie with the world. Livvy would have turned 16 on May 5th this year. It is truly going to be hard facing this day without her. So we decided that rather than be sad (well completely sad) on this day we wanted to do something to remember our beautiful and her giving spirit. So we have decided to challenge you all to the £16 birthday pledge. In anyway you want, we ask you to raise £16 or more in memory of our special girl. All monies pledged will go towards creating memory making days for children with disabilities and their families. We also have a second request as well as the £16 birthday pledge we would love it if you and your families, friends or co-workers would get together and eat cake in memory of our special girl, making your own memory in the process. 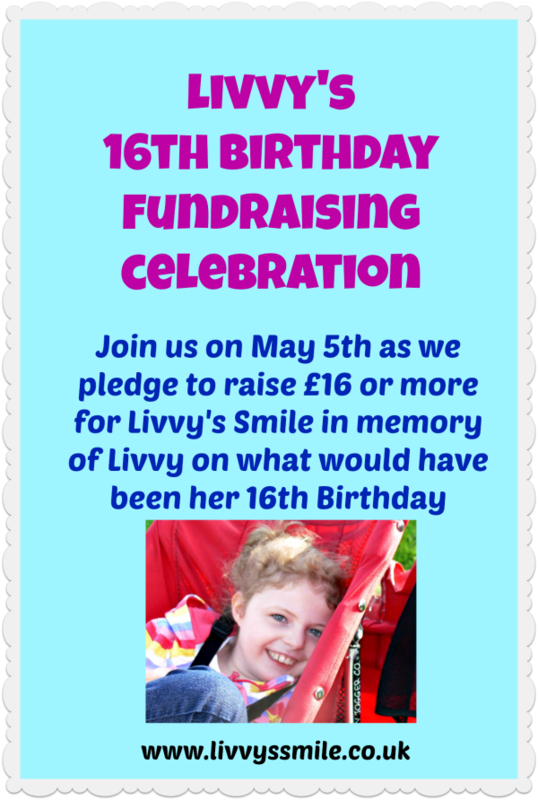 Then taking a photo uploading to your social media sites with the hastag #Happy16thLivvy sharing our beautiful girl and raising awareness for Livvy's Smile.